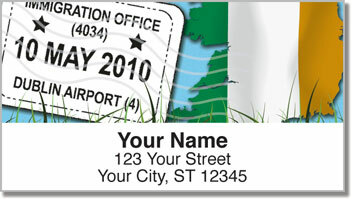 Here's a unique return address label design for folks with a bit of wanderlust! But with so many amazing places to see and experience in this wonderful world...we don't blame you for having the itch for international travel! 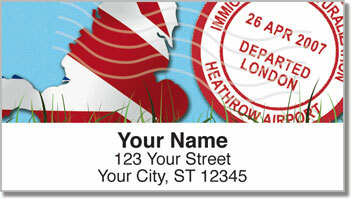 Each stamp you get in your passport is like a badge of honor that says 'Been there, done that!" 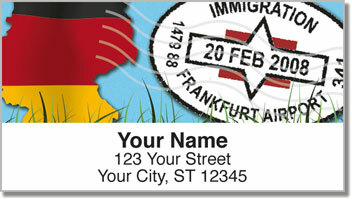 Passport Address Labels from CheckAdvantage are an eye-catching design featuring four different countries and their flags. It's the perfect choice for a world traveler like you! Plus, you'll be pleasantly surprised at how much easier it is to prepare your outgoing mail thanks to a convenient self-adhesive backing. 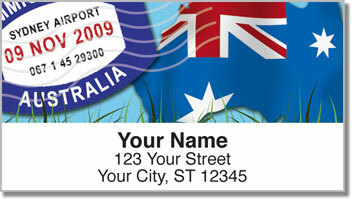 Get your own Passport Address Labels right now! Don't forget to take a look at the matching personal check design too!